is a research project that involves a qualitative investigation into how children conceptualise and experience well-being from a comparative and global perspective. 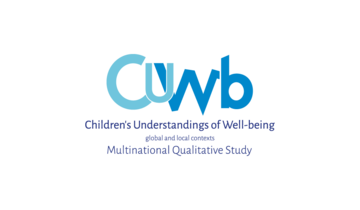 The study aims to interrogate from children's perspectives the meanings of well-being and examines how children experience dimensions of well-being. In so doing we attempt to explore the importance of local, regional and national social, political and cultural contexts on these meanings and experiences, via a comparative national analysis. We work within a network of researchers across the globe who act as hubs to undertake qualitative fieldwork within their country.